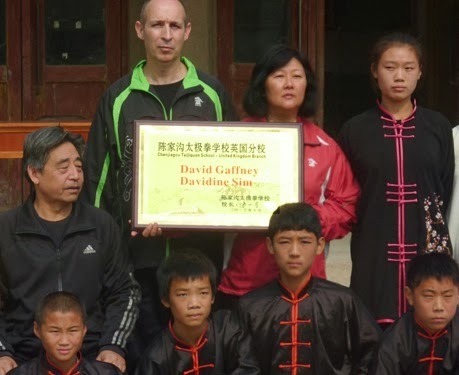 Training Laojia Yilu in Chenjiagou some years ago I was told not to “stupidly train repetitions of the form thinking that this would be enough to make your Taijiquan work as a martial art”. The first routine or Yilu is often referred to as the Gongfu Frame, used to lay the necessary foundation of correct physical structure and smooth energetic connection - over time helping to develop the often talked-about qualities of fluidity and agility at the top, heaviness and rootededness at the bottom. However, despite its fundamental importance, it is important to see form training within the context of a larger system. In Going Beyond the Norm: An Interview with Chen Stylist Wang Xian, written by Asr Cordes and published in the Journal of Asian Martial Arts in 2002, Wang Xian said “soft training is not enough to reach a high level of martial skill. If you want fighting skill, you will need special training”. What the first form lacks, for the most part, is speed, suddenness and abrupt explosive changes. People train Taijiquan for different reasons, but if we’re looking to develop combat capabilities in an effective and functional way these aspects need to be honed to a high degree. In the traditional syllabus the Erlu (second routine) is trained to do this - hence the saying “Yilu cultivates qi, Erlu explodes.” Another of the “special” training methods used to bring out the hard or gang side of Chen Taijiquan is practising repetitive single movement drills. Single movement training involves the repeated practice of a wide variety of actions and techniques focusing on different areas of the body. It helps to refine the techniques that form the basis of Taijiquan push hands and combative ability. 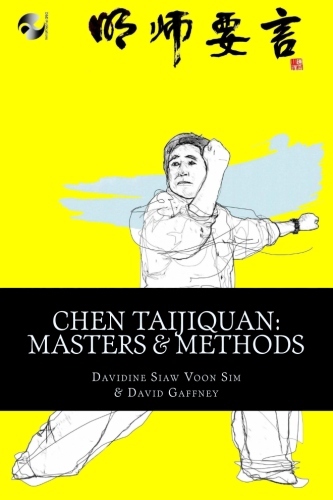 For instance the eight methods of peng, lu, ji, an, cai, lie, zhou and kao as well as techniques common to all martial systems such as kicking, punching, throwing, grasping etc. While training single movements we should not lose sight of the fundamental requirements: the harmonisation of internal and external aspects; the co-ordination of the upper and lower body; clearly differentiating weight distribution; strict attention to timing. The goal is to utilise all of the body’s potential during movements, which should be fast, focused and complete. With extended focused training movements become internalised and can be brought out instinctively without conscious thought. The aim is to be able to direct power explosively with precision and ferocity - executing techniques crisply, quickly and smoothly and with precise timing – whilst attacking an opponent at their weakest point and at the most vulnerable time. Single movement training can also be used to train Chen Taijiquan’s stepping methods, developing the ability to move with agile footwork – forward, backward, left and right and to be able to instantly attack or evade an opponent. A saying often repeated in Taijiquan circles is “Practice ten thousand times and the skill will naturally emerge.” Failing to train single movements is to omit an important part of the training process. Without it, an individual may have a nice looking form, but it will be a form that is empty of content, and put to the test in a real physical confrontation will, in all likelihood, come up painfully short. Correct basics are essential before training for speed and power. Begin slowly, training to execute movements correctly and paying careful attention to avoid losing energy and “collapsing” (diu) during soft practice. Speed up gradually, taking care not to lose the precision you have laid down in the primary stage and paying careful attention not to exert energy too forcefully (ding) when you do explosive movements. Pay attention to keeping your energy tracks undetected. Being able to do a technique forcefully is of little use if it is telegraphed and easily read by an opponent.